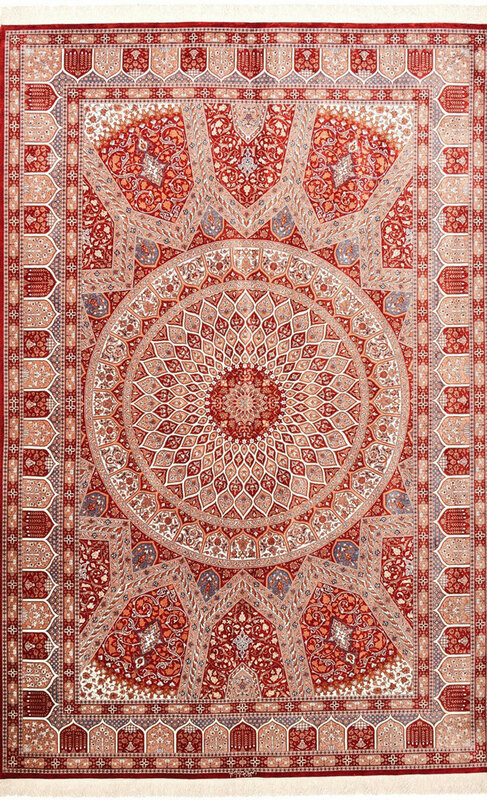 ﻿ Carpet Wiki: What material are handmade carpets made of? 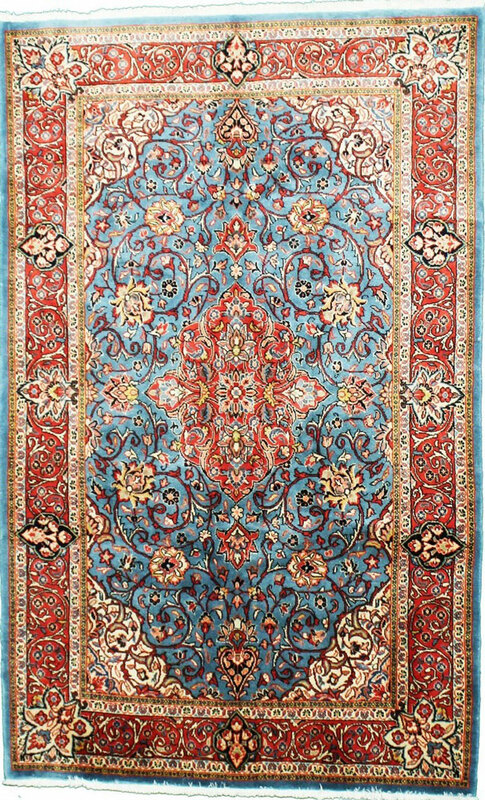 The material of a hand-knotted oriental rug usually comes from nature. It is important for the durability and resilience of a carpet. For example, the pile, the upper part of the carpet, is usually made of sheep's wool. 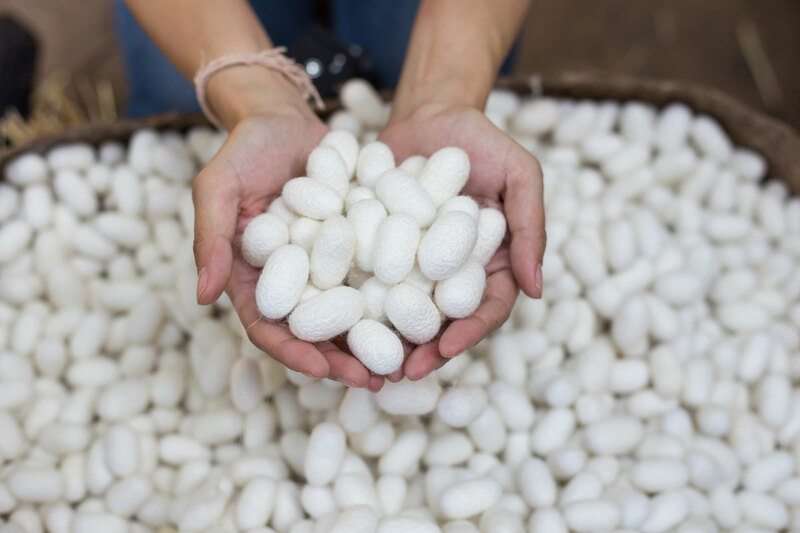 Wool has a natural fat content that protects against dirt, moisture and wear. 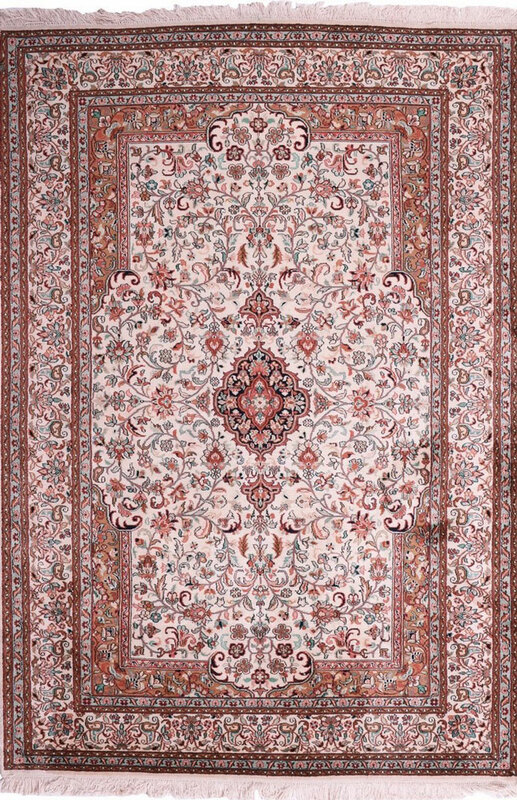 Sheep's wool is the most commonly used material for hand-knotted rugs. 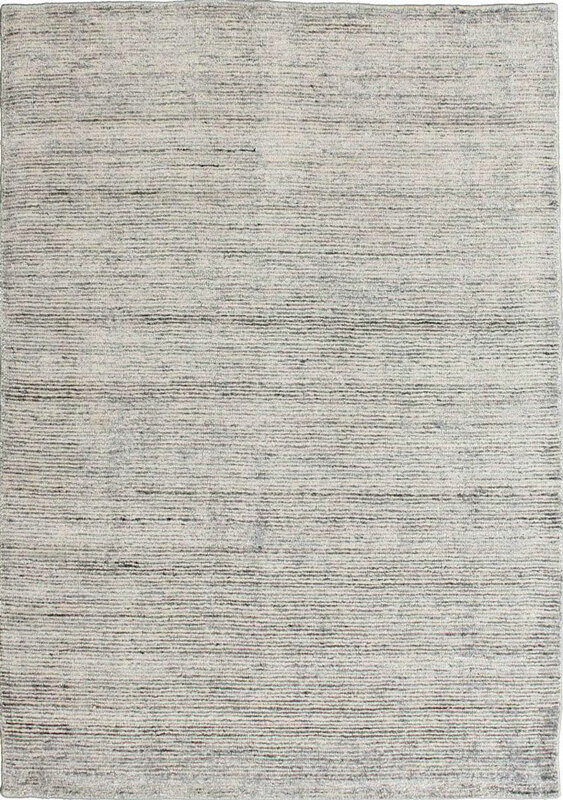 Depending on the Origin of the rug, it is also obtained locally from herds of sheep. In addition to the pile, the warp and weft are also often made of wool. Even today, wool is often still spun by hand. 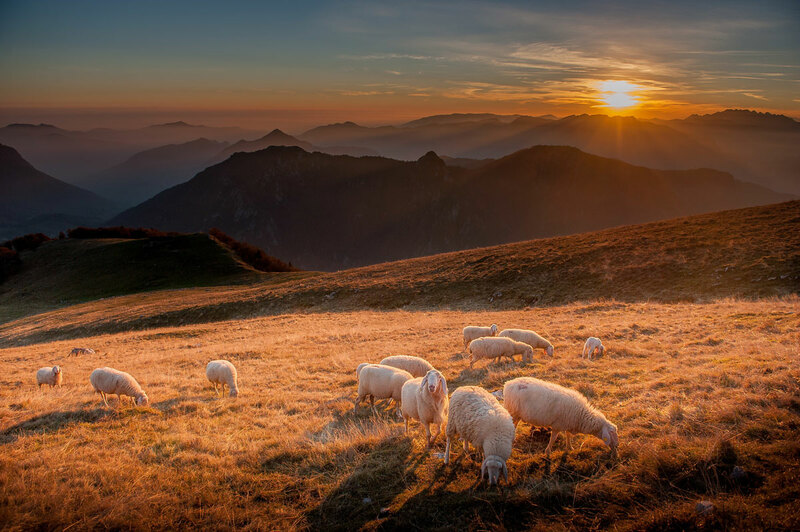 Very high-quality wool comes from the neck area of the sheep and is called cork wool. It has a higher fat content and feels particularly soft. The difference between a carpet made of wool and a carpet made of silk can usually be seen at first glance, even without a trained eye. 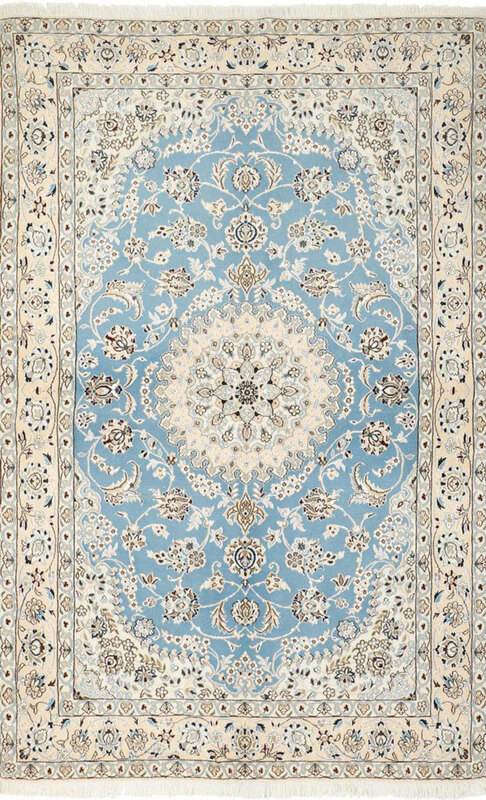 It is often difficult to depict the natural shine of silk on pictures, but it is possible to between different perspectives can detect a visible change in the brightness of the silk carpet. Since silk reflects a higher proportion of light than wool, the change of perspective results in a clearer effect in perception. of colors and brightness. 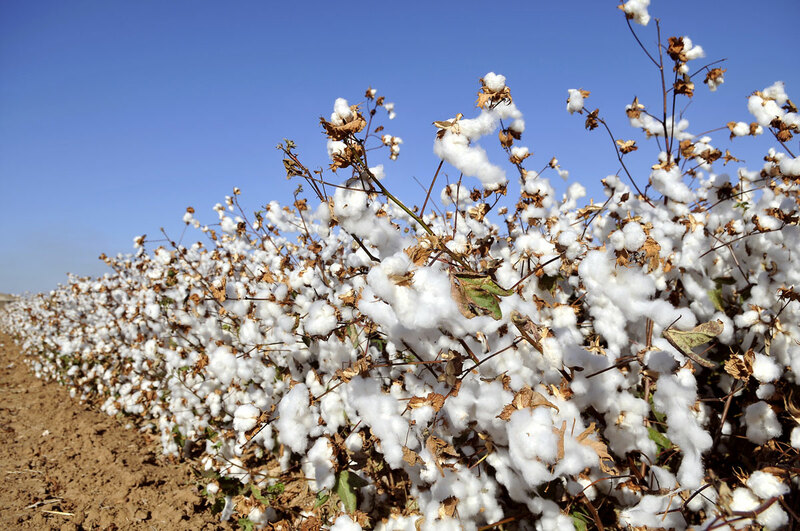 Cotton is used more for warp and weft in carpets. In kilim rugs , the flat weave is often made of cotton. It is cultivated on fields and is the cheapest in comparison.